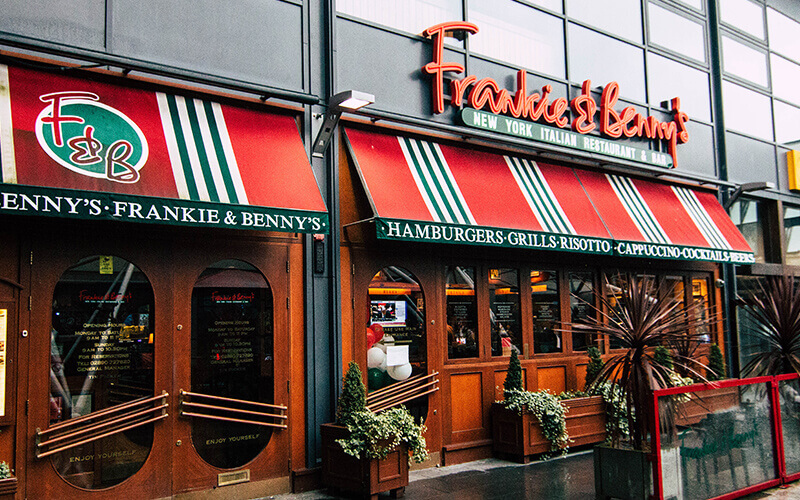 New York Italian Restaurant & Bar – The instantly recognisable red neon sign and warm inviting interior will ease you into the Frankie & Benny’s experience before you can take your coat off! 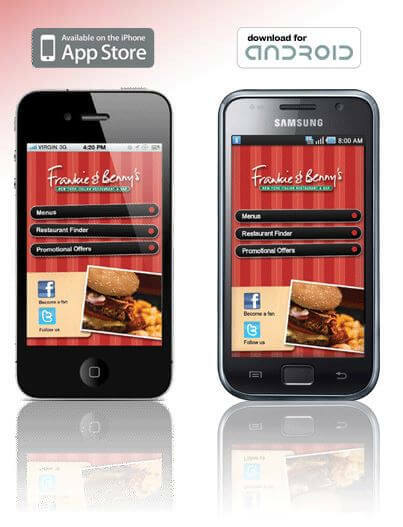 In typical stateside fashion, great service at Frankie & Benny’s is second to none. Nothing is too much trouble their obliging and friendly staff. Enjoy breakfast from £3.95 available every day from 9am until midday; the lunch menu starts from £5.95, Monday to Friday 11am-5pm. The specials menu is available all day Sunday to Friday, it is only £9.95 for a main course and you can add a dessert or a starter for £2 each! This restaurant attracts everybody from couples and parties of friends, to families treating themselves to a night out! Children are extremely well catered for. Their bar serves a wide variety of beers, wines, spirits and cocktails. Combined with the classic 50’s music, a mix of American swing and beat, it provides a fun and friendly atmosphere for all to enjoy!